Leigh-Ashley Milne is a graduate of the University Of Southern Maine School Of Music where she studied viola and music education. 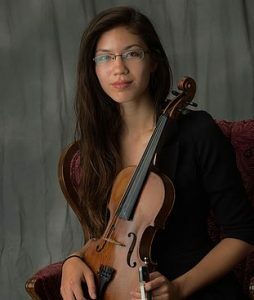 She spent four years under the tutelage of Robert Lehmann, and has studied in the past with Lauren Rioux and Julia Adams, a member of the Portland String Quartet. She is an active free-lance performer in the Portland area. Leigh-Ashley is a founding member of The Prospero Quartet, with whom she performs extensively.